Not much to say about this one.... 9-lives. 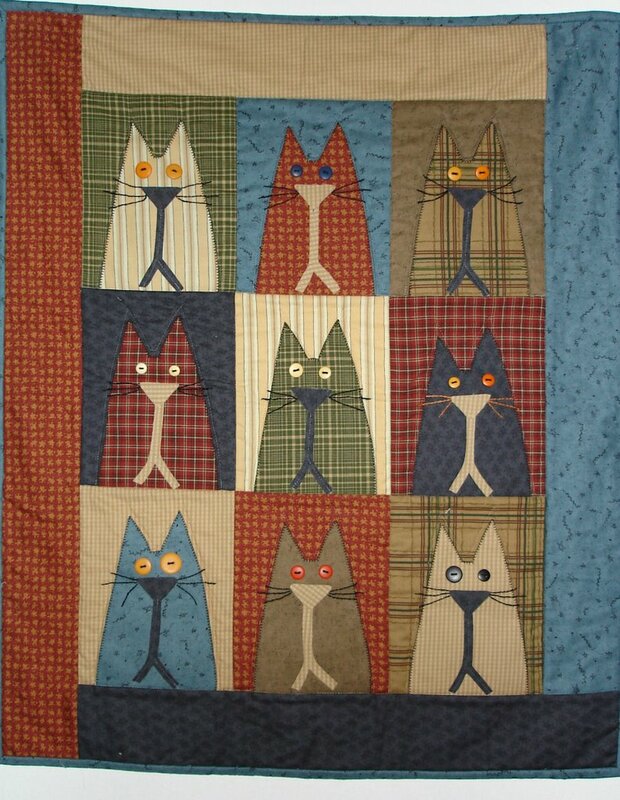 The nine lives quilt is really cute. 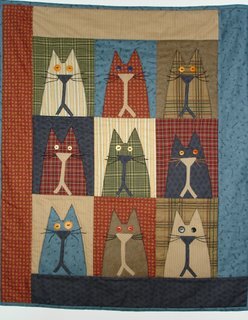 Would be especially great gift for a cat lover. I would put all the indigos together - after all, they are all from the same color family. There's no reason at all not to put them together unless you a shooting for a strict cultural look. Your indigo fabrics will absolutely go together. Just be sure to prewash them as there is a lot of excess dye in them. Trust me on this!! !